We have many tenants on our books waiting to be accommodated. We just do not have enough properties in Slough/Berkshire to accommodate our friends from all walks of life. Studio flats, 2 bed flats, houses and shared rental apartments seem to be caught in a diminishing spiral. Our friends require short term, long term rental properties at affordable prices in and around Slough. 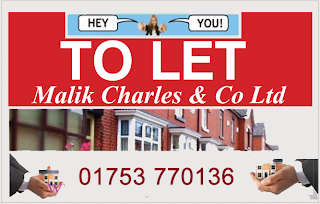 If you are a landlord and your wish is to let your property fast to one of our awaiting tenants then do let us (The Property Letting Wizards) assist you. We have noticed that many property landlords seek to let property themselves, perhaps to maximise full rental property rent. The fact of the matter is that we need to think economy and weigh the service we as property letting agents in Slough Berkshire and the UK provide to safeguard our incomes. What we are trying to say here that please let your property through us, come rain or shine we will do our very best in accordance with property law and requirements to accommodate both. You as the landlord and the tenants. Call: Mandy on 01753 770136 to kick start the economy now. or perhaps request to speak to our in house investment specialist.